I feel like most of us go way back. Many of you have stuck around this corner for years and I appreciate it more than you know. Our children have grown up together and life has continued to move forward. It makes it that much more fun to share projects we are doing around our home. You know we are undergoing a few changes in our kitchen. I can’t seem to push “add to cart” on our lighting so I thought it would be fun to hear from you. It’s not easy to envision but please imagine three wood shelves where the blue tape is on the wall. Underneath is a cabinet and light countertops (more on those later). Most likely a classic subway backplash. 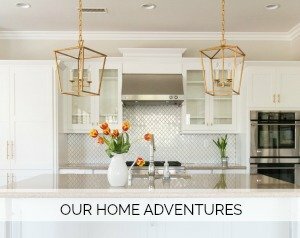 We loved our last backsplash but my heart lies with traditional. Plus we had to rip it out in order to gain more countertop. Here is a reminder of what the overall space looks like. I love the warmth of brass and have used it with our lighting thus far. The hardware is also brass. That brings me to a lighting dilemma. I am 100% sold on the library sconce you see above the shelves here. Please don’t talk me out of that! LOL The have a long enough arm to extend over the shelves and provide a nice amount of light. I have loved them since I first saw them and can picture them above our stained wood shelves. We will have two. Originally I had thought I would go with the antique brass. I wasn’t even questioning it. But I haven’t ordered them which means deep down I am questioning that decision. Brass overload is my concern. Moreover, if there is too much brass all of the light fixtures get lost instead of being special. I am not afraid to mix metals (our faucet will be polished nickel) and am now thinking of going darker. Suddenly I realized this light also comes in a beautiful bronze color. I think it could look really lovely above the wood shelves and add interest. The other option is to paint the plate of the antique brass sconce black creating a two-tone look. Bottom line, I need to get these beauties ordered. Time is ticking. So what option do you think is best for our kitchen? I would love to know your thoughts! The first one is my crude Photoshop version of the brass sconce with a bronze base. Can’t wait to hear your thoughts. And now I am off to be with my sweet mom. I think the bronze sconce with your existing brass hardware and lighting would look lovely together! My vote is for #2. And the bronze next to the stained shelves… it will be so pretty! I like the two-toned look. 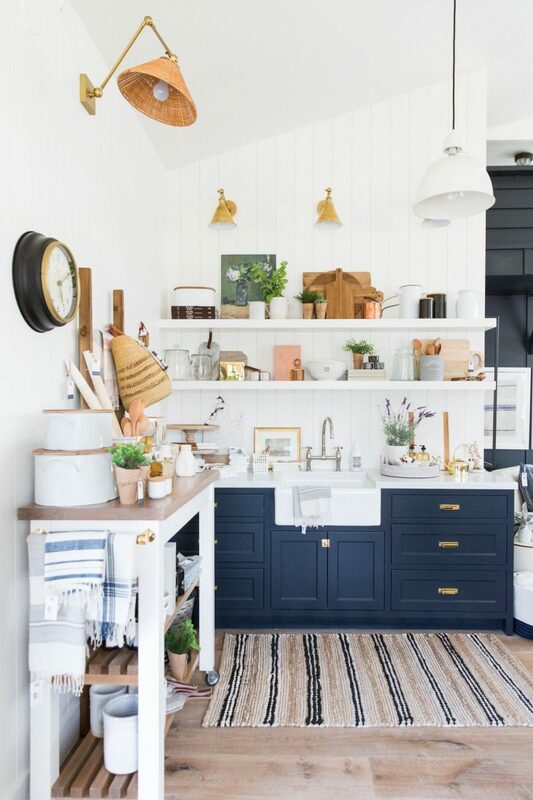 I’m wondering since your range and hood are in the same color family as the bronze, it if would look off to have everything on the wall be one metal and the island and nook another. Not enough mixture if you went all bronze? I agree with the bronze too. It will stand out a little more and create interest. Love the sconce! I vote #2 also! Will be such a beautiful contrast! I think Bronze will be a perfect choice. I’m sure it will all come together. Hi Courtney. My vote is for the bronze. If everything is the same you either “stop seeing it” or your eye has nothing to rest on. Wooden shelves & bronze – yum! Hi Courtney. My vote is for the bronze. If everything is the same you either “stop seeing it” or your eye has nothing to rest on. Wooden shelves & bronze – yum! Besides, if you were thinking it we should all trust it, your house is gorgeous. With the open shelves, will you be removing the paned cabinet doors and replacing with solid? Just curious. I’m going to be the odd man out. I like the brass. To me that corner looks dark, at least in the photo. The bronze sconces and stained shelves will make it darker. And with the brass you would always have the option to create the two-tone look at a later date. I completely agree and had the same thought that the corner needs brass to warm it up. Me too! I love the brass! Classic and beautiful! 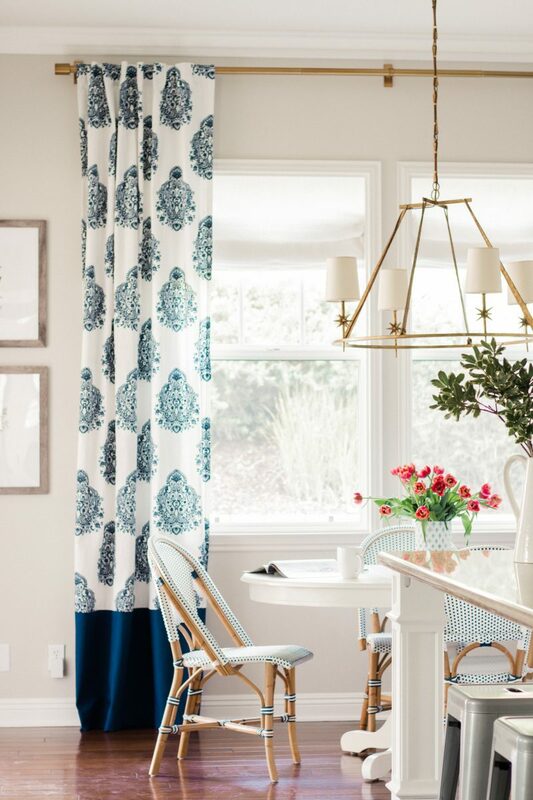 AND…go look on Studio McGee’s video post today of the Mercer Island kitchen. They have used what looks like the bronze over light stained shelves. 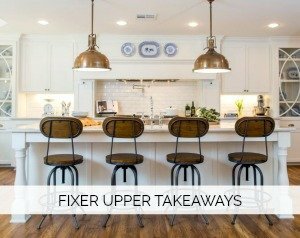 The bronze looks good in this setting because of the other black accents… kitchen pulls, bar stool legs, barn door hardware, bar light cords. In your kitchen, you do not have any other black or bronze or dark going on. Hope that helps…. I think Brass looks nice. As mentioned earlier, you can always bring in different tones. Can’t wait to see reveal! I like option one to punch it up a bit but still tie-in with your existing stuff, but fortunately you can’t go too terribly wrong with any of these pretty choices. Or can you order four and send two back after you see both colors on site? I am for team bronze. I believe every room needs something “black” to anchor it. Whatever you choose it will be beautiful. Just gonna add after looking at it again. Your ovens have some “black” in them, as does your cooktop, all on that wall. The eye will visually travel from one to the other ( a v shape so to speak), so I am sticking with bronze. And if I know you as well as I think I do, the accessories you plan to use on the open shelving will be light in color or clear glass 😉 So, I don’t think it will be too bright. Order both! Hold them up study them with the other lighting. Return what you don’t like. Agree 100 percent! Order both, take pics, show us, and we’ll blog vote! ???? Actually, I like the brass. I am thinking that with the stained wood shelves (guess I am assuming that the shelves will be stained?) the bronze fixtures would make that part of the whole wall look “dark”. I think the brass will keep the kitchen “in balance”. I love the two tone look. It has way more character. Brass, for sure. I have bronze all over my house and some polished nickel but I like when shapes and styles look slightly different even though the finish is the same ( my door knobs and faucets, all polished nickel. My lighting fixtures all bronze. ). The library sconces are beautiful but they don’t look like the other lighting fixtures so I think they will still be noticed but they’ll still coordinate because their metals are similar. My choice is #2. I think it will remain classic as different metals go in and out of style. Love it! I think I like the brass with bronze base. Here’s the thing,….. wondering if you need two? When I look at your inspiration photo, they have two over much longer shelves and one on the left side over a shorter area. I have a laundry room with one centered light like this and the amount of light it gives off is quite a lot, couldn’t imagine the brightness of two in my space? Just throwing that out there. Dimmer ? Cannot wait to see it all come together. I really like the brass the best! Either way, your kitchen is going to be absolutely stunning! I vote for the bronze look #2! I think no matter what you choose, it will be lovely!???? I’m sure either will look great, but I prefer the brass. I think for the bronze you would need to add in some more bronze elements. 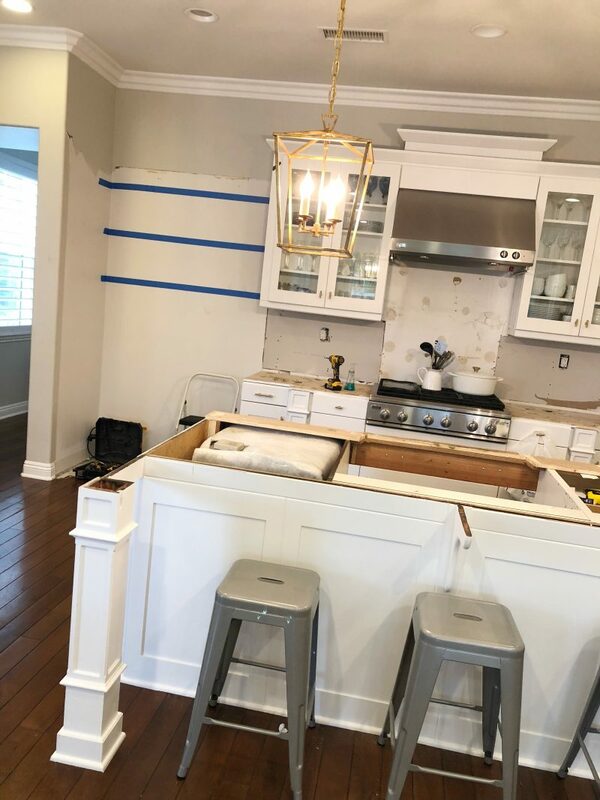 I don’t think it will look too brassy as your island pendants seem light and airy.. Can’t wait to see the finished kitchen! I vote for #2. I think bronze and wood looks great together. Good luck with your reno. Bronze! I feel like brass will go back out of style and look dated and the bronze has lasting power. What are you putting on the shelves? Anything metal or with color? You have two fairly big statement peices in stainless-hood and rangetop on that wall. I think adding bronze into the brass /stainless mix you already have in the kitchen will not give you a cohesive design. The brass fixtures you have are open with thin lines. The sconces with the solid brass cone shades give a more solid appearance. That’s enough of a difference that they will not be visually lost. My vote is #3. As a few others have mentioned, the other light fixtures are light and airy, so I think this more solid sconce will be enough of a difference and I like the idea of having all the light fixtures in a similar finish, then adding the contrast with your faucet and range hood. 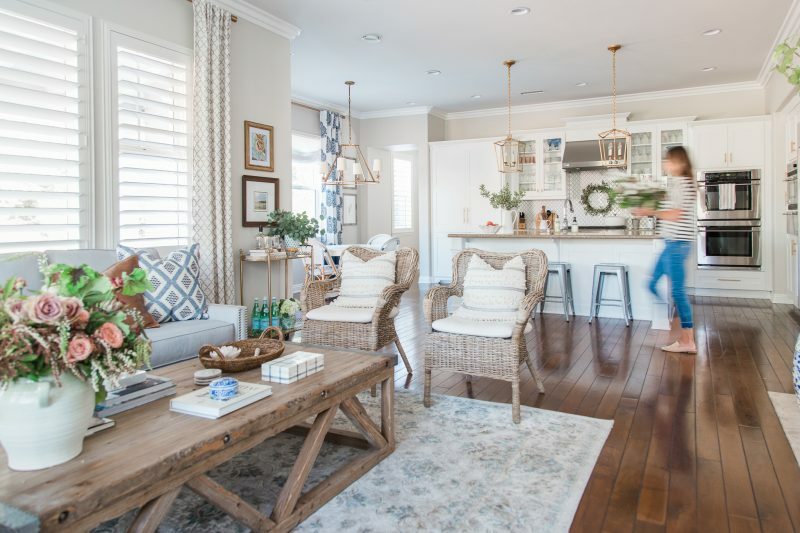 I can’t wait to see what you choose and the finished space! Good lucK! I think that all of this changes if you are going to go darker with your faucet. If you have a bronze faucet, then I think it could make sense to have the bronze light fixture. Just my two cents… Either direction you go, the fixture itself is classic and all three finish varieties are classic so you are obviously safe there. 😉 I’m so excited to see this space come together! I agree with this assessment. The “friend” approach is a great way to think about this. I’m going to keep this in mind when I redo my lights. Hi! Love them all but my vote is #1. I would go with the bronze, but use only one sconce. I don’t think the size of the space dictates needing two. The lights are beautiful- one would make such a pretty impact! Brass all the way!! Not sure if you plan on changing your bar stools butI would if you can. For some reason I’ve always thought they didn’t go with your beautiful kitchen. I agree with you, Maria – either 3 or 1. I would go with the all bronze! Can’t wait to see the finished product! Putting in another vote for #2! I think the contrast will be gorgeous and will mix things up a bit. I feel like the two-tone will just get lost and wind up looking like a brass light that somehow has a shadow on the base.